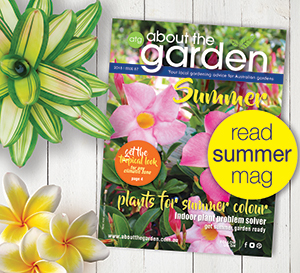 When you buy turf from Tanby Garden Centre you are buying a product grown right here on the Capricorn Coast and you will have the benefit of expert considered advice. Our aim has always been to grow low maintenance grasses suitable for this climate. Known at Tanby Garden Centre as ‘Fisherman’s Grass’ because you don’t have to spend your weekends looking after it but can enjoy other activities. An all-round favourite which looks fantastic, feels fantastic and yet is one of the hardiest turfs around. As a natural grass and not a hybrid it has retained all its natural abilities to handle drought,grubs and diseases. Tropika Blue, in my opinion, is the closest thing to a genuine low maintenance grass. Tropika Blue is a natural grass from Swaziland in Africa which is on approximately the same latitude as Central Queensland. It is a relative of Blue couch and has evolved under conditions of heavy grazing and irregular rain fall. In trials Tropika did not allow weed invasion even under conditions of nil nitrogen application. Under conditions of extremely low moisture Tropika will shut down but come back so quickly after rain that it will not allow weeds to penetrate. (See comment on drought tolerance under ‘Turf Species’). The only complaint I have had with Tropika is that it is too vigorous. However, after talking to these people it is clear they are fertilising and watering it like green couch. Once they stop this the Tropika settles down. This grass makes an attractive lawn appealing to those who like a broad leaf grass that has good shade tolerance and is low maintenance. This grass is grown under licence to Tanby Garden Centre/Tanby Turf. 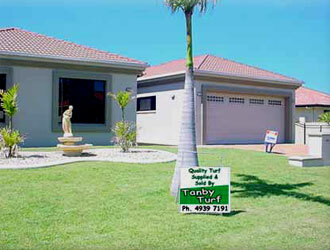 Soft leaf Buffalo is the only decent broad leaf shade tolerant grass currently available in Central Queensland. It also handles sun. 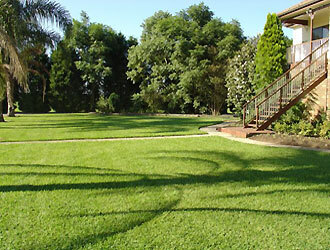 Soft leaf buffalo is becoming the most popular grass Australia wide. It retains good winter colour and does not usually get affected by grubs once it is established. Generally low mowing requirements. Soft leaf buffalo will become more popular as yards get smaller and houses bigger. Broadleaf weeds can be controlled by any broadleaf weed spray that does not contain Dicamba. (Zoysia matrel la) Fine leaf shade tolerant grass which is very low maintenance once established due to its slow rate of growth and low fertiliser requirements. Good coastal grass with salt tolerance. 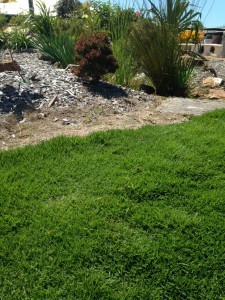 A densely growing lawn which handles sun and shade equally well. This is our newest turf species and I introduced it because it fitted in with my philosophy of growing turf that is low maintenance as well as having the ability to tolerate salt which is a necessity on certain parts of our coastline. It does take a bit longer to get established which means a longer time caring for it with frequent small waterings until it gets its roots into the ground. But the reward is one of the lowest maintenance turfs around. Zoysia ‘Shadetuff’ fits in well for people who have shady yards but don’t want a broad leaf grass. It is also idea for places that don ‘t have good access, such as steep banks, as it doesn’t need much mowing. A mix of Tropika and Couch. An adaptable forgiving blend which is perfect for any situation where a specific turf variety is not required. This is our soft leaf buffalo with a bit of couch mixed in. Its the perfect economy option for a shady spot where the buffalo, with its shade handling ability, will dominate and the couch will take a back seat.